Parts of 2017 were rough for our family, mainly, Alexandra. In January of 2017 her sister was born, about a month later when I figured out that I couldn’t raise a newborn and also keep Alexandra stimulated during the day, we sent her to “pre-school” a few times a week and a month after that the young lady who helped us around the house and with Alexandra (so she was Alexandra’s best buddy) found another job. It was a lot of transition for Alexandra and she had BIG feelings that manifested in physical outbursts. I’m talking extreme– she would beat us up. Bad. She hit and kicked and screamed and would get so enraged that I knew she was literally out of her mind. I could see when her senses shut down and she was on rage mode. I felt terrible for her and also for us. We even restored to spanking her which made it all worse. (Want to stop spanking your kids or just want to learn how a toddler's brain works, read - No Drama Discipline). One night it got so out of control and I was so scared and pissed that at midnight I Googled, therapy for kids. I needed help. ASAP. Around the same time I was starting to get vocal about my Postpartum Depression and my friend reached out to me and she said, these will help you. They WILL make a difference. She was talking about essential oils and I started to pay attention. Even saying essential oils felt super silly at first, but slowly I started to lean into the science and results and possibilities. But I knew I needed help getting Alexandra to a good place, and I was going to use all the tools available. So we started therapy and we started essential oils. The very first night I remember opening an oil that my friend said would help my girls sleep through the night (both of them!) and that was huge, since I was nursing and pumping and oh so tired!! I pulled out “Peace and Calming” rubbed it on the girls' wrists and on their chest and VOILA! They both slept through the night. And so, that was how we started. With sleep. I took the plunge for me and for my family and little by little we addressed things like sleep, trauma, jealousy, change, and once we addressed some big emotions, we started addressing our physical health. We began making our own vitamins with oils, using essential oils to clean the air, our floors, SO MANY THINGS. We use oils every single day. I use Loyalty oil as a perfume. I say a little mantra, be loyal to your truth, and I go on my way. 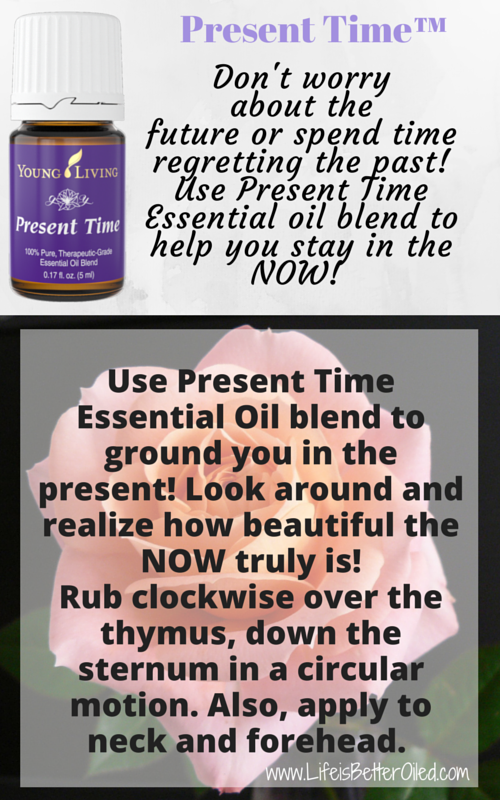 If I’m having a stressful day, I swipe on Present Time Oil, it helps me stay in the present and just breathe. Alexandra uses a special blend of oils, GeneYus, to help her focus at school. During the day I use Lemon Essential Oil for my water. During the day I run the diffusers with Thieves and Cinnamon to clean the air in our house. Sometimes I even use Orange and Tangerine. Yum! I use an essential oil blend (SARA- helps with trauma , Release- to help let go of it all, and Sacred Mountain -Sacred Mountain promotes feelings of safety and knowing the world will always take care of you) and make a linen spray. I spray this on our beds before we go to sleep. I keep an essential oil room spray (Pine and Thieves) in our guest bathroom. 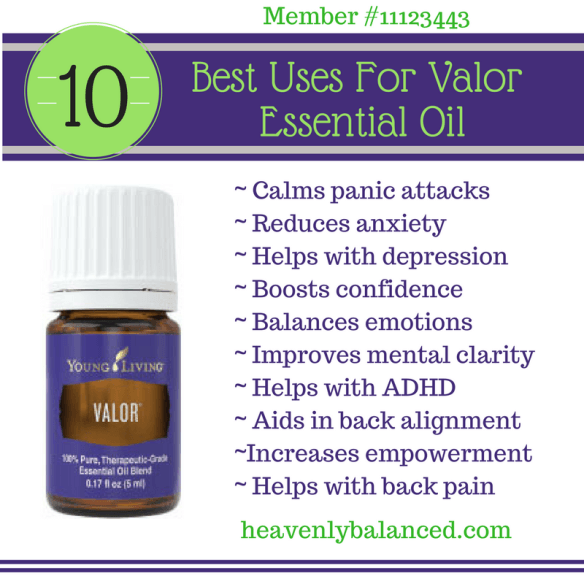 I keep a bag of oils by my bedside that I swipe on my feet and wrists and neck each night. Oils that are meant to help calm my brain and get me to a place of peace. Some of them are: Rose, Release, Geranium, Sacred Frankincense, Inner Child, Joy and Gratitude. They are crucial to my sleep. At night I make my own mix of oils, depending on the girls' behavior and what’s going on in our lives, and run the girls’ diffusers. Sometimes Alexandra and Luciana need more emotional support (Peace and Calming, White Angelica) and sometimes they need help with head colds (Thieves, Lavender, Lemon and Peppermint)– it all depends! I just keep learning and we keep using them and we have seen incredible results. We’re almost 2 year into oils and I LOVE them. Oils are the first thing I turn to for a bug bite, a rash, fragrance, emotional support (they have helped me with my PPD, weaning off of Zoloft, when I’m pissed, when I’m scared and when I’m trying to raise my vibration) immune system support, and even for cooking! Let’s talk some more science. In my TEDx talk,Choose Joy or Die,I talk about how if we are not consciously choosing joy, we are dying. See how Joy is near the top and shame is near the bottom? 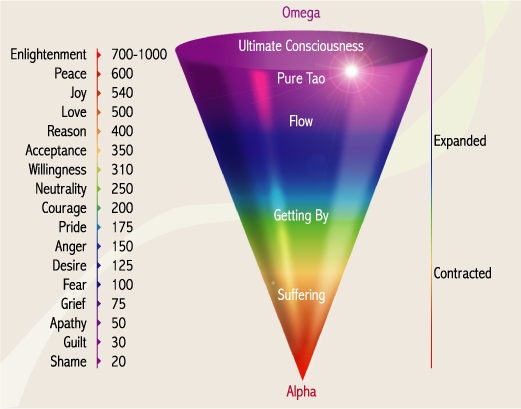 This chart depicts frequencies, vibrations. Good vibes vs. bad vibes. ✔ Every cell in your body, every single living thing, has a vibrational frequency. When we consume things that have frequency (such as plants which are living things), we can increase our body's frequency, which will increase our health. ✔ Healthy human body frequency: 62+ MHz. ✔ Illness starts at 57-60 MHz. ✔ Death begins at 25 MHz. ✔ Essentail oils have frequencies as well, which can raise our bodies’ frequency. They range from 52-580 MHz. ✔ One of the most important modalities of essential oils is their ability to raise our body’s frequency to a level where disease cannot exist. ✔ Processed food: 0 MHz, meaning it does nothing positive for your health. ✔ Raw, real food (things that are alive) are the only foods that will raise your frequency. ✔ The essential oils with the highest frequencies are Idaho Blue Spruce (580 MHz), Rose (320 MHz), Helichrysum (181 MHz), and frankincense (147 MHz). ✔ Coffee: Even holding a cup of coffee can lower your body frequency by 8 MHz (yikes!) Taking a sip lowers it by 14 MHz. BUT! Listen to this: When essential oils are inhaled following exposure to coffee, the bodily frequencies restore themselves in less than a minute. But if no oils are administered, it can take up to 3 days for the body to recover from even one drink of coffee. How crazy is that? ✔ Negative thoughts decrease our frequency by up to 12 MHz. ✔ A positive thought can increase our frequency by 10 MHz. ✔Prayer/meditation increase our frequency by 15 MHz. When I learned about this research, I really went into high gear with essential oils. By raising our vibration with our food, positive thoughts, prayer, laughter, dancing, and even with essential oils, we are choosing joy. We are ascending. We are living a life of joy and vitality! And we all deserve to live lives full of joy. If you’d like to get started with essential oils, send me an email (catia@catiaholm.com) and I’ll point you in the right direction.